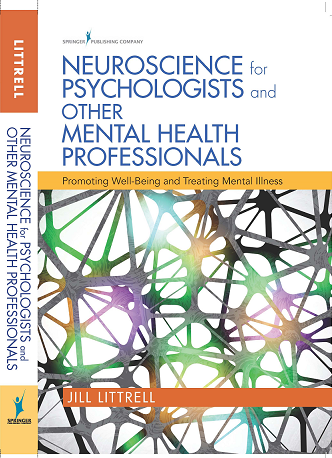 My book presents the latest neuroscience and physiological explanations behind the major diagnostic categories of mental illness—including schizophrenia, depression, anxiety, and addiction—and explains the physiological bases that underlie traditional pharmaceutical treatment interventions. It integrates current information on brain function with new research on immunology, offering a research-based rationale for viewing the mind and the body as an integrated system. The new information on the physiological bases for behavior explains how lifestyle interventions related to diet, exercise, and interpersonal relationships can have dramatic therapeutic effects on mental health. Of particular note in the book is cutting-edge information on fast-spiking GABA interneurons and the role of NMDA receptors in psychosis, the role of inflammatory processes in mood disorders, and gut microbiota’s influence on inflammation. Beyond the physiology undergirding distress, the book also explores the physiological bases for health and resilience.